Debt is scary. If you’re feeling trapped by your finances then it’s understandable that you just want to bury your head in the sand because it can be so overwhelming. Life can feel out of control. When people don’t even know where to start they tend to avoid taking action. That’s when the issues tend to snowball out of control. Debt can be stressful, but the idea of debt in itself isn’t stressful. Debt that’s in the form of a personal loan provided by https://personalloan.co/ is often associated with a sense of freedom because it enables you to do the things you want to do, in the short term, but could come at a high cost in the long-term unless you manage your finances responsibly. The stress people feel when in debt tends to come from the debt collection activities that ensure when people fall behind with their payments. 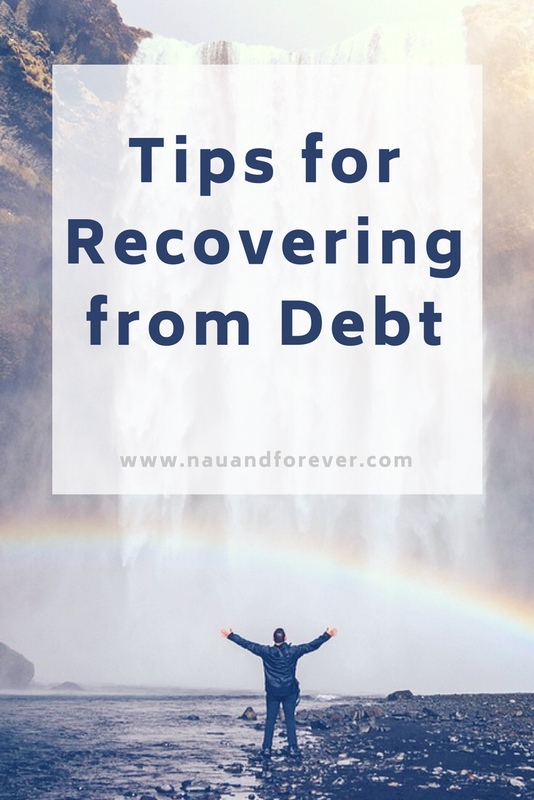 The prospect of consolidating your debt into one larger amount in order to pay off the smaller bits of debt you have can offer immediate and permanent relief from the stress that comes with being behind with payments. Indeed, the main benefit of consolidating your debt, aside from the obvious financial benefit of avoiding late charges being applied and compounding… is that you’re now dealing with just one creditor rather than several and can get things back on track. This way, rather than having a number of debts with late payments (which can seriously affect your credit score) you now have just one debt with payments that are (hopefully) being made on time. Check out three tips that will help you take charge of your credit record. If you have missed payments, then stop worrying about this – the damage is done – all you have control over is the current moment which will directly affect what happens next, and the best thing you can do moving forward is to ensure your bills are paid on time. Sometimes, borrowing money can be a justifiable and viable way to consolidate your debts and get back on track. It’s important to know the steps you need to take before applying for a loan. One of the most important steps in rebuilding your credit history is actually getting credit. There are financial products available that can help people in financial trouble consolidate their debt into one manageable monthly amount. This can even help those with poor credit records. Feeling trapped by finances can feel like you’re drowning. There is hope and you can totally gain control of your financial situation. It will take work and a plan, but you can move on and put it all in the past. Recently, I overheard a conversation that kind of hit a nerve. I heard someone say, “work shouldn’t be fun; that’s why it’s called work.” I couldn’t believe someone would roll over and accept 8-10 hours of misery five days a week. It makes no sense, partly because happy people work better but mainly because work is just a part of life and life should be as fun as possible. This got me thinking. 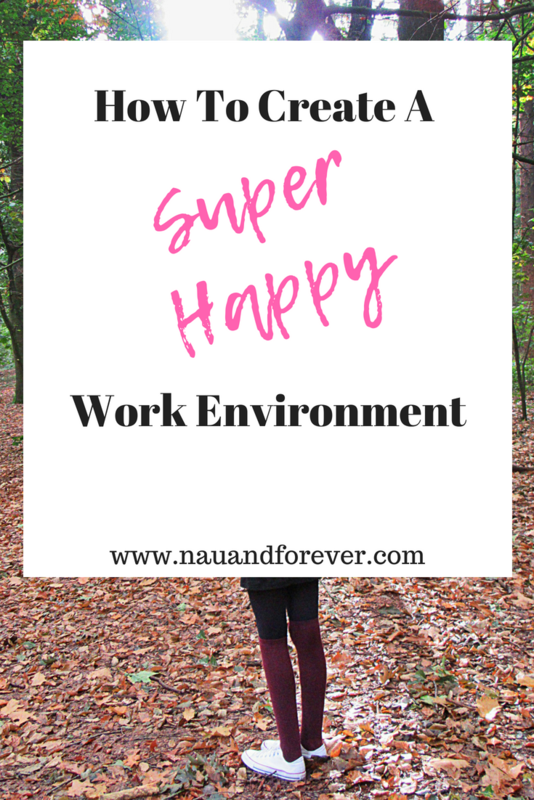 How can entrepreneurs and leaders create happier working environments? It’s in their best interests to do so because a happy culture will attract top talents, breed creativity, stop turnover from getting too high and make people love coming to work. You’ll have the sort of office that pops up on Instagram under #MondayMotivation. How cool is that?! 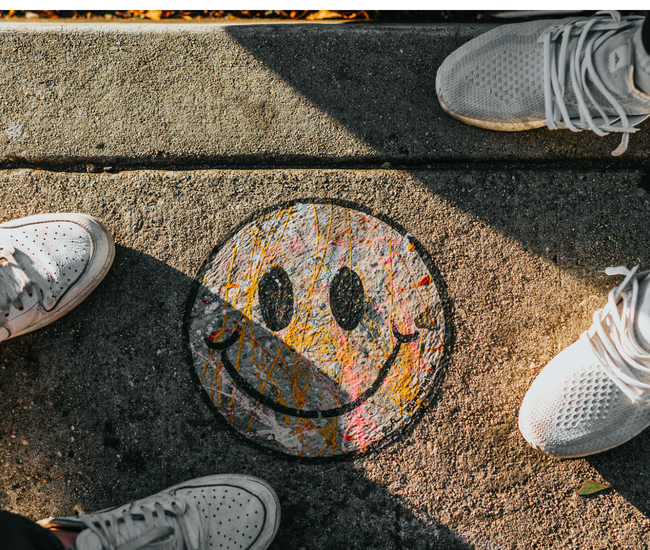 So, without further ado, here are some amazing ways you can make your office culture fifty shades of happy and enjoy the benefits of having happy employees! The moment someone feels underappreciated at work, they start searching for jobs elsewhere. That’s the number one reason people leave a job. Not low pay, not the lack of vacation time, not the poor flexibility on offer. Underappreciated. So stop waiting for review days and start praising people. In public. With enthusiasm. Because why not? The more you can think about your employees from their point of view, the better chance you’ll have of making them happy. People want to work somewhere with life and soul, so have music on and put houseplants everywhere. They want to work somewhere safe and not have to consider visiting www.hugheylawfirm.com/ out of fear of what might happen. Employees want to work for a company that values the importance of a good work/life balance. They want to be in an office where that Friday feeling is celebrated. They are only human after all. Happiness spreads happiness. It’s infectious. Utterly irresistible. So when you are posting your job descriptions, specify that happy souls are welcome. Look for people with an infectious laugh and a dazzling sense of humor and watch as it ripples throughout your office. More optimism, more happiness, and higher spirits mean better productivity and motivation. That should be enough to make you review your hiring requirements. Work doesn’t – and shouldn’t – be miserable! You spend most of your time with your work family, so be sure that you are hiring the right people that will make your business thrive with success and happiness. Remember: happy people work better! Studies have shown that 11% of Americans live with a chronic pain condition. Given that chronic pain is apparently rather common, it is rather surprising that there continues to be a number of misconceptions about the condition, who it affects, and how it should be dealt with. So, let’s try and combat the misconceptions once and for all. 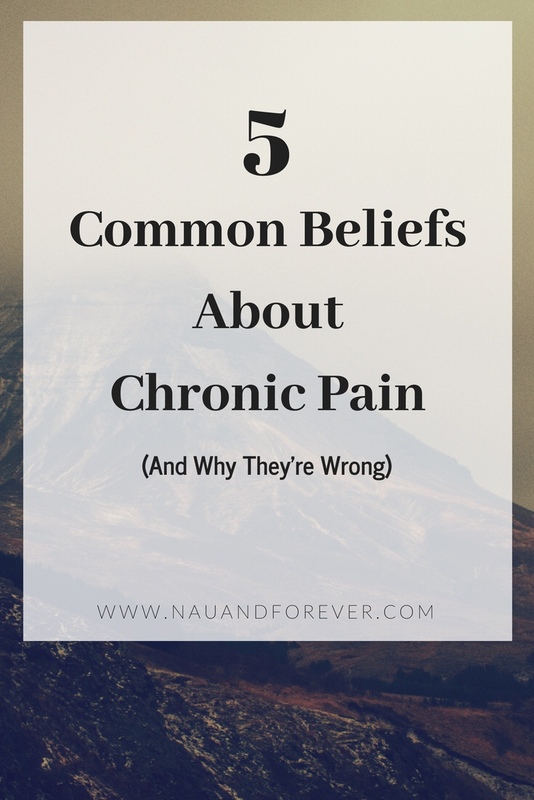 Below are three beliefs that many people hold about chronic pain— beliefs that, unfortunately, aren’t actually correct. This misconception has been fuelled by TV shows and movies, which depict scenes where a patient fakes chronic pain in order to receive high-strength drugs. This, however, is not reflective of reality. Many sufferers prefer not to use any prescribed drugs at all, and will instead use treatments such as yoga and massage to cope with the issues they experience daily. Admittedly, chronic pain is more common in elderly people. This is because elderly people are more likely to suffer from chronic conditions such as arthritis, and will need to access senior physical therapy and other non-medicated treatments to cope with this. However, that is not to say that all chronic pain patients are elderly— it is a condition that knows no borders or age limits and affects people across all age ranges. When people hear the term “chronic pain”, they imagine a pain that is extremely severe. This is usually due to a misunderstanding of the term “chronic”. Chronic actually just means long-term; its direct opposite is “acute”— and neither is an indicator of the severity of the pain. It can be mild, moderate, severe, and everything in between; the only key factor it needs to be considered “chronic pain” is that it has lasted over three months, and is not expected to resolve in the next six months. Many people believe that if someone suffers from chronic pain, this must mean they are always in pain. While there are some conditions where this is undoubtedly true, for most sufferers, the issue is intermittent. People with chronic pain tend to have good days and bad days. On the good days, they may appear to be completely pain-free; on bad days, they may not be able to leave their bed. Either way, the level of pain is not consistent throughout their lives; it has peaks and valleys that the person with the pain has to learn to deal with. Some forms of chronic pain cannot be cured, but others can. For example, if someone has a severe back problem, they can be diagnosed with chronic pain. However, if they then have surgery, the issue can be fixed, and their back will return to a strong and healthy state. While it tends to mean ongoing, that doesn’t mean there aren’t treatments available that can improve the outcome for patients. Chronic pain is real and affects so many people on a daily basis. If we can all learn the realities of it, perhaps we can better understand our loved ones who experience it. For tips on living a healthy lifestyle and access to our free printables library, be sure to sign up for our newsletter! Let’s talk about balance. Not the typical balance I talk about involving a healthy lifestyle, but your sense of balance. We don’t give it much thought except for when we trip and sometimes I’m crazy clumsy. In our day-to-day lives, we don’t think about our balance much at all, but it’s always there, keeping us upright and safe. Balance is a core component of our physical health, and a weakened sense of balance is seen as a worrying sign. Furthermore, when we lose our sense of balance, we begin to realize how vital it is to our everyday lives. 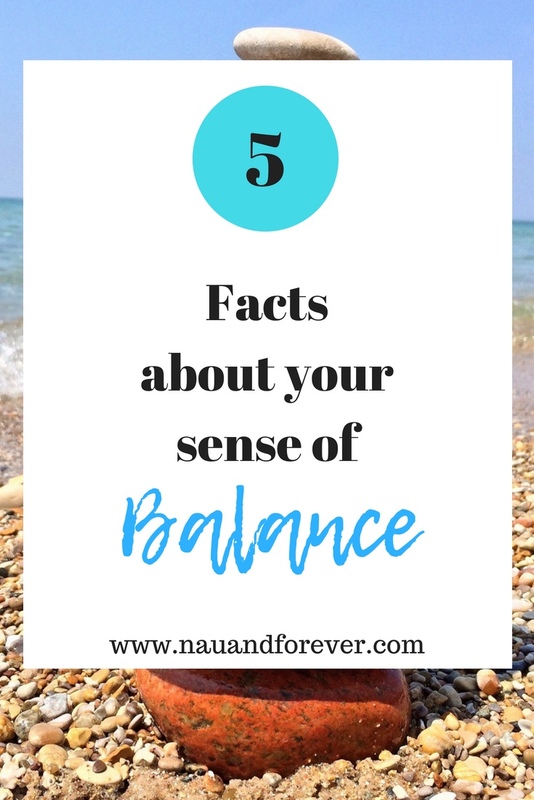 Let’s check out more about our balance, the role it plays in our health and fitness, and what to do if your sense of balance is in need of a tune-up. The majority of people believe they have five senses, so the term “a sense of balance” may sound weird. However, your balance is a sense, just like hearing, touch, eyesight, and so on. We actually have far more senses than the common five most of us are taught at school, and balance is a particularly important one too. Balance is part of a bodily system known as the vestibular system. Vestibular disorders are actually rather common; examples include concussion, Meniere’s Disease, and tinnitus. Oddly enough, one of the primary signs of a severe ear infection is a loss of balance. This is because the inner ear plays a vital role in maintaining our sense of equilibrium, and when our inner ear is compromised, our balance suffers. Many people believe that a sense of balance is innate, and your individual sense of balance is what it is and cannot be improved. “Oh, she’s always so clumsy.” But that’s not true. There’s plenty that you can do to improve your balance. Younger people can try yoga and pilates to help improve their balance; while senior physical therapy will usually involve some element of balance work. While it may take time to improve, it is possible if you’re willing to continue to work at it. Your toes have a vital role to play in maintaining your sense of balance, and particularly your big toe. When we walk or run, our big toe actually bears around 40% of our overall weight, with the rest spread between the remaining four toes. So look after your big piggie— it has a vital role to play in keeping you upright! Improving your sense of balance is totally possible. If you’ve always thought of yourself as a clutz, rest assured that you can change your balance. Yall! Some days, my stress levels are through the roof. In today’s world, I know I’m not the only. Some days, you can “woosaaahh” to your heart’s content, but still not find relief. 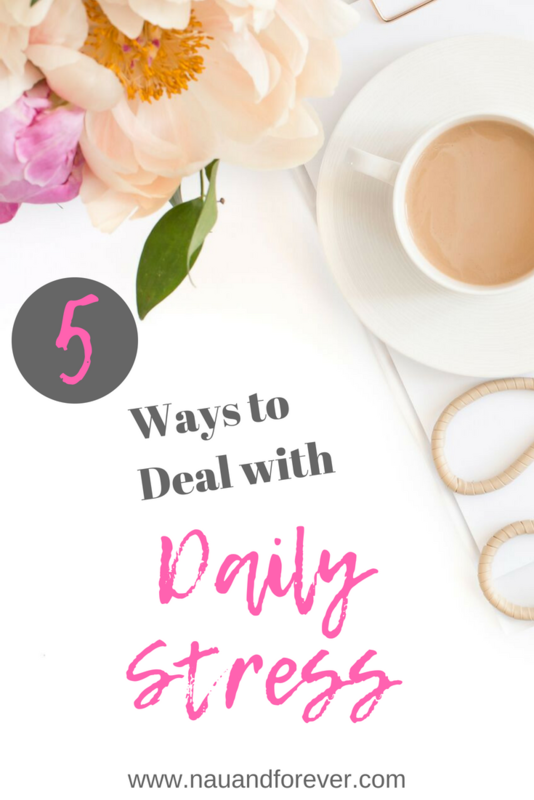 There are things that you can do to deal with daily stress. It’s understandable that people reach out for a cigarette to ease their anxiety, an alcoholic drink to take the edge of their stress, or a shot of caffeine in the morning to boost their energy – but these temporary ‘cures’ often exacerbate stress, as caffeine and nicotine are stimulants and alcohol is a depressant. Many times, these substances offer a temporary sense of relief but come at a cost, as they can then magnify the feelings you are trying to satiate. You might, therefore, wish to consider replacing these for water or chamomile tea. And let’s be real, you know you shouldn’t be smoking anyway. It’s important to get your beauty sleep. This can be easier said than done (mommas, I see ya), however, when your stress levels are high, guided meditations can help you drift off into a deep sleep. You can find free ones on podcasts or YouTube. 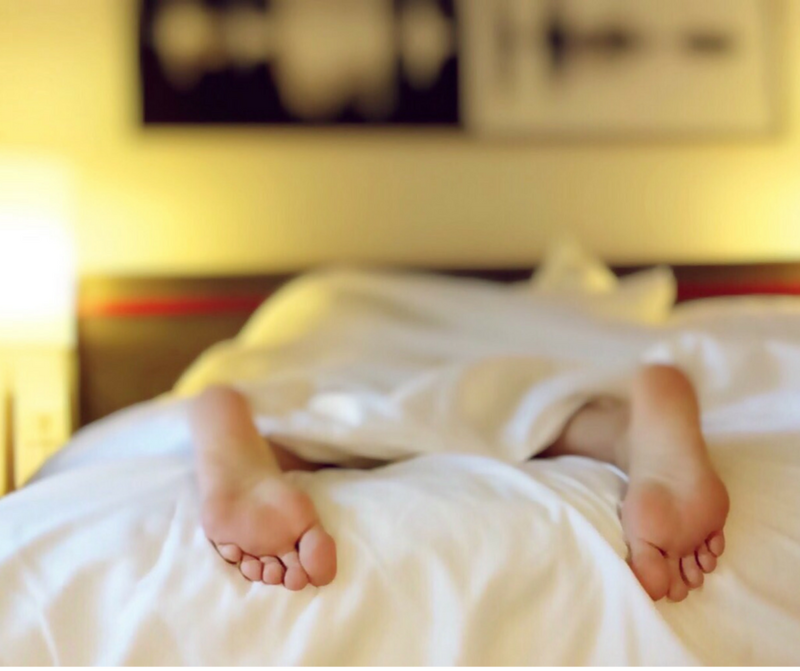 You may also consider upgrading your bed to a more supportive mattress particularly if you suffer from back problems, in fact, you can find a purple coupon here. Is there anything better than an incredible mattress? You’ll also want to ensure the room is as dark as possible, and try not to take your laptop to bed with you, as the bright light stimulates your brain rather than allowing you to slow down into a state that is more conducive to sleep. Exercise is one of the most beneficial activities you can do to reduce your stress levels and combat the feelings pent up inside. 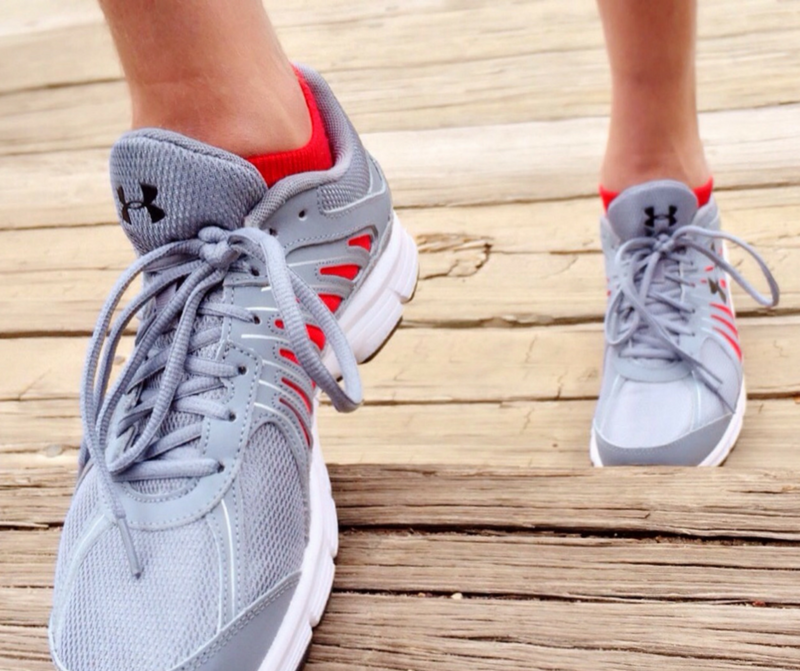 Working out will give you a ‘natural high’ known as an endorphin rush. It helps you feel more in control. You will be able to tackle whatever situation you are having to deal with that’s causing the stress to begin with. 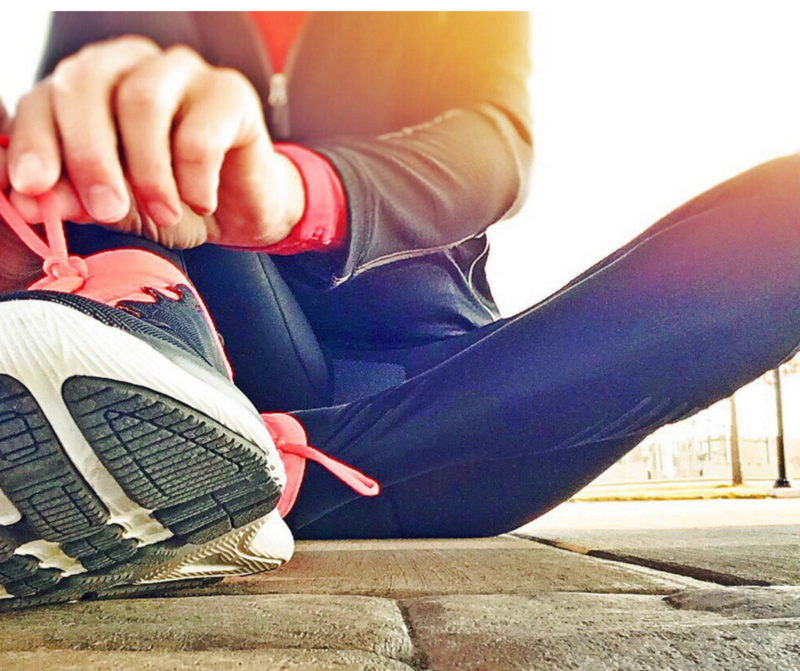 Exercise is good because, you can go into the gym feeling one way and come out feeling totally different – this shift of perspective is often all that’s needed to resolve the stressful situation you are battling with, so get moving! Is your job super stressful? There’s a chance this is because it’s not aligned with your nature. The wrong job or managing the wrong type of business can make you feel “off”. You may not feel supported or in alignment, and it can feel like you are trying to fit a square peg into a round hole. Meditation is just as helpful as any exercise in terms of putting you in the right mental state to deal with what needs to be dealt with. Working from a calm and grounded place of response rather than a tense and stressed place will help you enormously. Stress can be, well stressful. It’s really important that you find ways to help you deal with daily stress. You may not be able to eliminate all the stressors in your life. You need to learn how to relax and respond to these emotions will really make a big difference. I have always found that working out helps with my stress. Endorphins are serious business. Are ready to get moving and want to find a program that works best for you? Fill out this super quick form and I will get in touch with you soon! The 21s century is pretty amazing with all the impressive technology that we have at our finger tips. But with that technology comes a fast-paced and extremely impersonal world. We are all so busy. We may have acclimated to the fast-paced, technologically baffling and increasingly impersonal world we live in, but that doesn’t mean that we are immune to the physical and psychological toll it takes on us. The 21st century can be a cause of enormous stress and anxiety. If we allow them to, these issues can have a huge effect on our quality of life. Here are some practical and effective ways in which we can deal with them. We all have a predisposition to burying our head in the sand when it comes to confronting the causes of our anxieties. Whether it’s money trouble, problems at work or relationship trouble, you need to confront the causes. Credit card debt, for example, can easily become compounded it left unattended. As interest rates rise, debt can become more and more crippling, while moving the debt to any of the best 0 APR credit cards can make it much more manageable. Likewise, confronting a work colleague about behavior that upsets or offends you is infinitely more productive than letting your ill feelings fester. Whatever the cause of your stress, you gain nothing from ignoring it. Does it really matter that you missed the bus and will have to wait ten minutes for the next one? Does it really matter that the guy in front of you in line got the last danish? Sometimes we owe it to ourselves to keep our minds on the things that really matter. It’s much harder to have a healthy mind without a healthy body. So if it’s been a while since your workout clothes saw the light of day, it may be time to dust them off and hit the gym. Exercise is one of the best stress busters there is. The release of dopamine and endorphins that are triggered by exercise gives our sense of well being a colossal boost and lends us a much-needed sense of perspective on our problems. 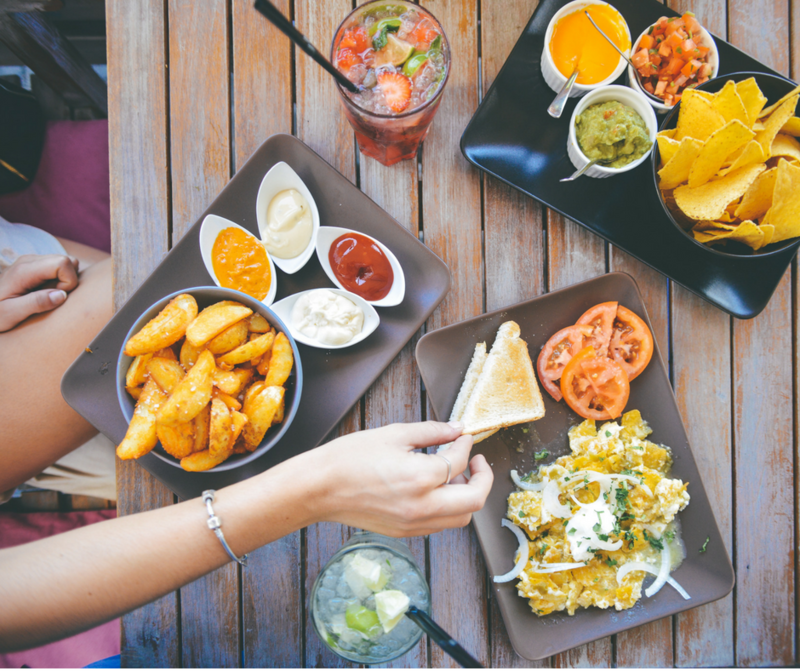 There’s very little about the human condition that isn’t contingent upon the foods we put in our bodies. It’s impossible to achieve mental wellbeing on a diet of fast food. Make sure that your plate has a healthy dose of natural stress-busting foods like Swiss chard, asparagus, nuts, avocado, and berries. Sometimes the best thing you can do is unplug to ease stress and anxiety. Turning your phone off and closing your laptop can give you some peace from the chaos. The constant ringing and dinging can really take its toll. 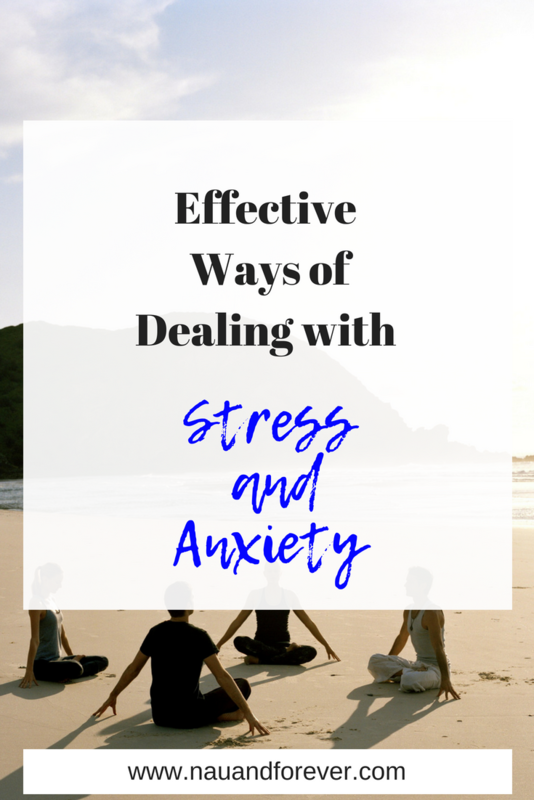 If anxiety and stress have plagued you for too long, it’s about time you took control of your life! 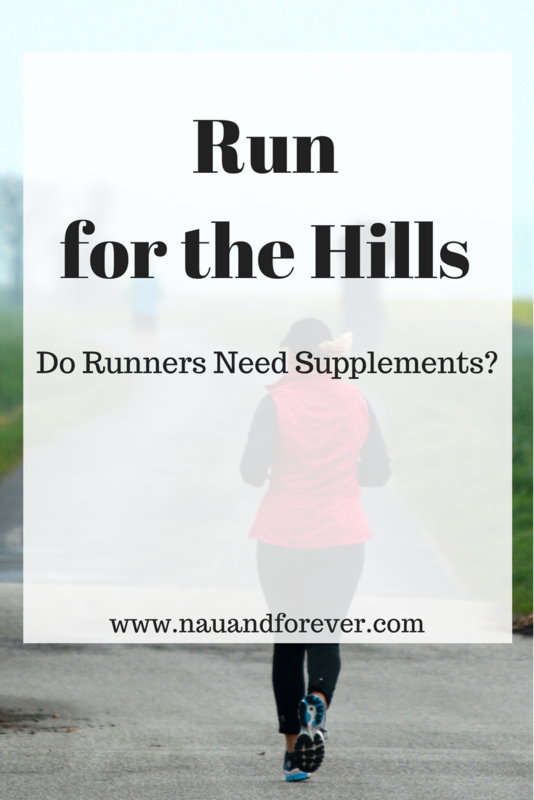 Run For The Hills: Supplements for Running? I’m training for a 5K in the Fall! Well, I’m currently researching training for a 5K. I love working out but I’m not a great runner, so I’m challenging myself and stepping outside of my comfort zone by participating in this 5K. (Stay tuned for all that info later.) With that, I thought I would check out what possible supplements runners need. Anyhoo, if you are a runner, you already know the importance of a healthy and balanced diet. It provides your body with all the essential energy that it needs to keep going in your runs and ensures that it isn’t depleted of any other essential nutrients. Plus, a well-balanced diet will have all of the protein needed for the body to quickly recover after each run. However, if you are following a restricted diet, you might find that you struggle to get some nutrients into your body. Even if you do get all the nutrients that you need, you might want to increase your intake of certain ones so that you can improve your performance. Whatever your reason, there are a few different supplements that you might want to start taking when you run on a regular basis. Here are a few key suggestions. Caffeine can help you keep going on all of your long runs. However, it’s probably not wise to drink a Venti or two just before you head out but having a small cup before you run can help you reap the benefits of coffee! Turmeric can help the recovery process after all of your runs, especially if you ever injure yourself. The spice is known as an anti-inflammatory and can help to reduce any swelling in the muscles. That’s not all, though, as it is also an antioxidant so can help provide oxidative stress release to the body. Plus, it helps supports the joints and improves overall muscle health. As someone who is regularly working out, your body will need a lot of protein. It will use all the protein to help strengthen the muscles and repair them after each running session. You should be able to get enough protein from healthy sources, such as poultry, leafy greens, and dairy products. But it’s always a good idea to boost your intake with some protein powder. This is especially the case when you increase the intensity or length of your runs, as all that protein powder will help speed up recovery. Another supplement that can help reduce inflammation in the body is Omega 3 fish oil. Taking plenty of these oils can help prevent too much pain from any potential running injuries. It can also help to reduce any muscle soreness and aching after particularly strenuous workouts. The nitrates that are in beetroots are known to help increase performance in long runs. So, if you have a long race coming up, such as a marathon or ultramarathon, you might want to start taking some beetroot supplements. You can even buy beetroot shots that you will be able to take while you are on your long runs to give yourself a little boost. It’s important for anyone, athlete or not, to have proper nutrition. I will be training for this 5K with the proper nutrition for my mind and body. I always say, “feed the mind, fuel the body” and that’s exactly what I intend to do. If you are wanting to reach your health goals, I would LOVE to help you. Shoot me an email laura@nauandforever.com and let’s chat! 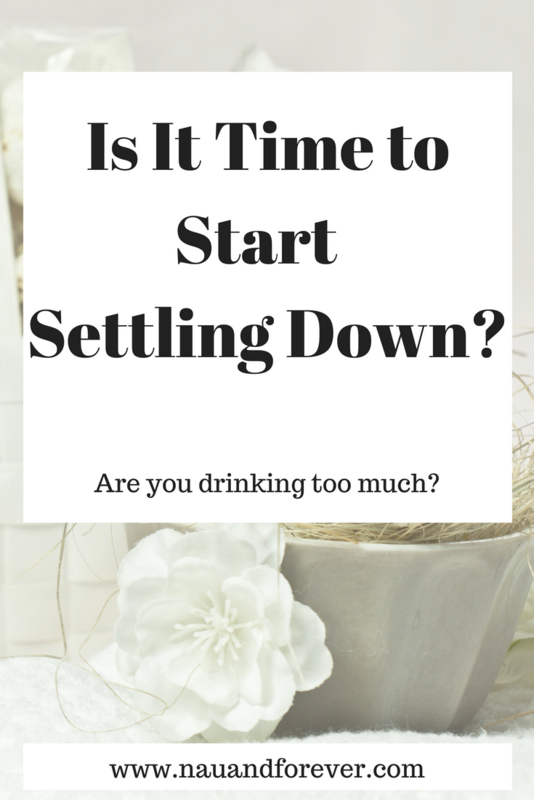 Is it Time to Start Settling Down? Once we reach the legal drinking age, drinking alcohol is accepted and even widely encouraged. From college nights on the town to Spring Breaks on the beach to college mixers and so much more. But when is the drinking too much? We’re all told we should get out, have fun, socialize and let our hair down. However, this kind of lifestyle shouldn’t last forever- you don’t need to hang up your dancing shoes for good but most people will naturally reach a stage where going out and doing those things aren’t important. All night parties turn into a few glasses of wine at a dinner party with friends, a trip to the cinema, theater or just an early night. If you’re still partying hard at an age where others have calmed down a little- here are some clues that it’s time to start settling. When we’re young, most of us can handle a night of drinking, hardly any sleep and still make it into college or university feeling ok enough to get through the day. As we get older, hangovers become more severe meaning even the occasional night out can affect your work performance the next day. If your drinking is causing you to be late to work or affect your productivity then it’s a sure sign you have a problem. There are facilities and good treatments these days that can help, find out more here. Your loved ones should have your best interests at heart. If someone that you trust and you know cares about you is worried about your drinking, take them seriously. People with addictions will go into denial so you could easily convince yourself there’s no problem at all. Your support network knows better, whether it’s an intervention or just a few words from a friend- don’t overlook this. If you feel as though you need to hide bottles, play down how much you drink, drink before you go out then you may have a dependency issue. Going out or enjoying the occasional drink with friends should be fun. It’s not something you would feel bad about unless you know there’s something a little more sinister going on. If you know you have a tendency to drink too much, ask a friend to let you know when you’ve had enough. Sometimes a little reminder is all you need when the drinks start flowing. It’s so easy to forget how many you’ve had. Can’t do this? If you drink to excess despite being reminded that you’ve had enough, you may have a serious issue with alcohol. You may need professional help. 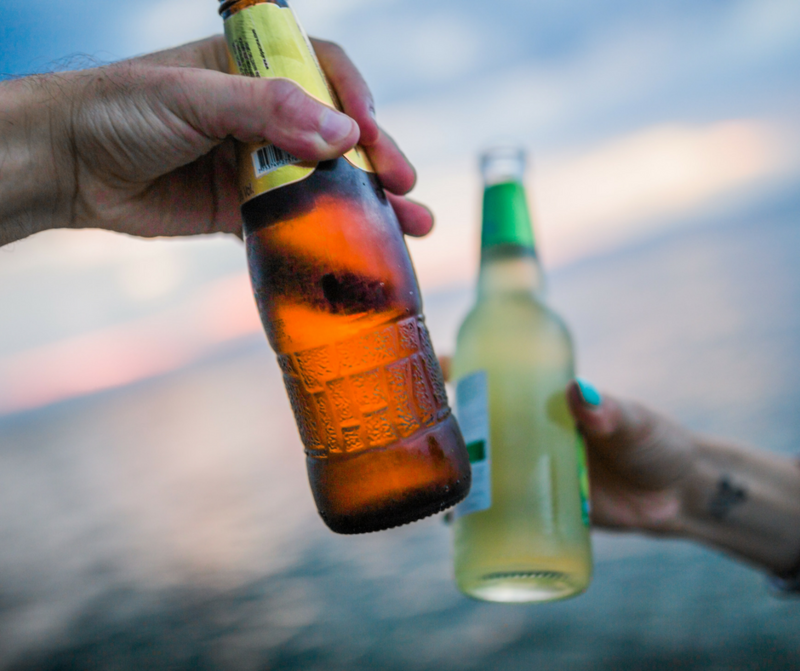 For most people, alcohol can be a fun way to celebrate a special occasion or to enjoy a catch up with friends. If you need to drink to get through certain situations then you could be developing, or already have an addiction. It’s so important to not be ashamed if you have a problem with alcohol. You don’t have to go through it alone. If you think you are drinking too much and want help, go to a trusted friend or doctor and be open and vulnerable. Adulting! It has its ups and downs. Of course, we all want to be happy in the here and now, BUT part of being a responsible adult is setting ourselves up for a happy future too. 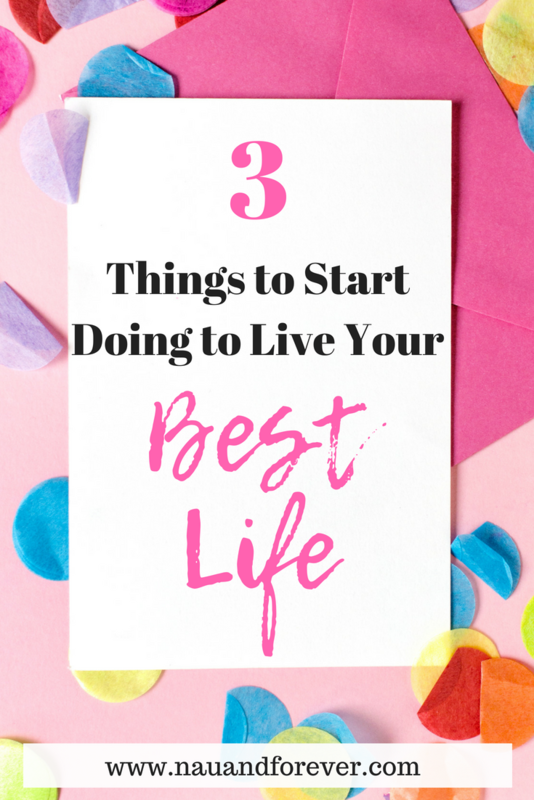 We can’t just float through life and hope for the best- there are things that you can, and should be doing to ensure you live to your best life! You only get one body, if you want to live a long and happy life then it’s crucial that you look after it. Eat well and learn to make meals that taste delicious and are packed with nutrients. Exercise, taking on an activity that you genuinely enjoy whether it’s hiking, biking, swimming, dance classes or gym sessions with a friend. If you’re addicted to smoking, alcohol or drugs then please seek professional help, facilities like Schick Shadel Hospital can help you to get clean. Addiction is mentally and physically draining. If you want to live a long life, you absolutely need to seek help immediately. You deserve to be healthy! Money isn’t everything, but being in a stable financial position can certainly make life easier for yourself. When you’re not living paycheck to paycheck, you can save money. You’ll then have a buffer if you get landed with an unexpected expense. It means you can afford nice things, and to travel to places which makes life more interesting. If you’re in debt, first of all, focus on this. Sell unwanted items, do overtime at work or even earn money from home as a way to pay this back more quickly. Consider cutting up your cards and once the balances are paid, close the accounts. When you’re out of debt you can begin saving, start with a ‘rainy day/ buffer’ account with a few hundred dollars in there to cushion the blow if your car breaks down, washing machine stops working, an unexpected bill comes through or any other expense. The more you can save beyond this the better. In time, you could aim to put down a mortgage deposit to buy your own house or make other investments. These will earn you money over time and can help to secure you a brighter financial future. Life is great is when you are surrounded by the people you love. On their deathbed, so many people report that they wish they’d have spent more time with the ones that mattered most to them. We all lead such busy lives so it can be difficult to spend as much time as we’d like with loved ones but make an effort. Perhaps once a month you could arrange a family dinner, all meet at a restaurant or invite them round to your place and cook. In the summer, host a big BBQ- or a picnic in the park. Ask everyone to bring some food, drink, and games. Don’t wait until the occasional wedding, or worse, funeral to see the people in your life that you care about. If you want to live your best life, it’s 100% possible! Focusing on the things that are important to you like your family and friends and improving your health and finances can definitely help push you in the right direction. Want more tips on improving your health and wellness? Be sure to sign up for my newsletter so you don’t miss a thing! 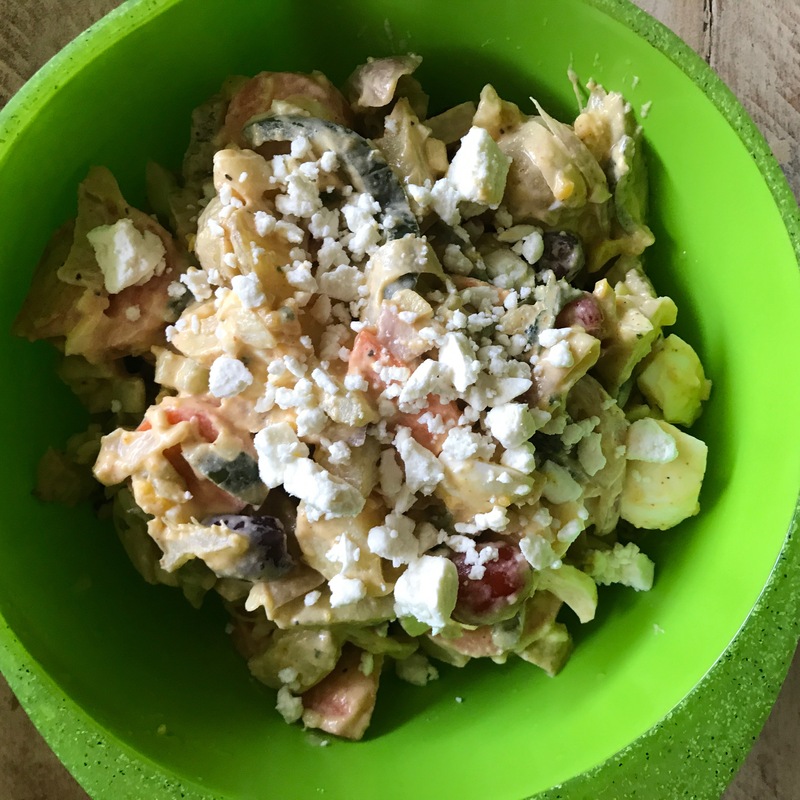 Why You Need to Try Pantry Boy! The following post contains affiliate links. I will make a commission if you make a purchase at no extra charge to you. I only recommend products and services that I love! I wear a lot of hats: wife, mom, blogger, coach, etc. Meal planner should be at the top of that long list. I love making yummy food for my family, but sometimes I hit a roadblock when it comes to trying new things. 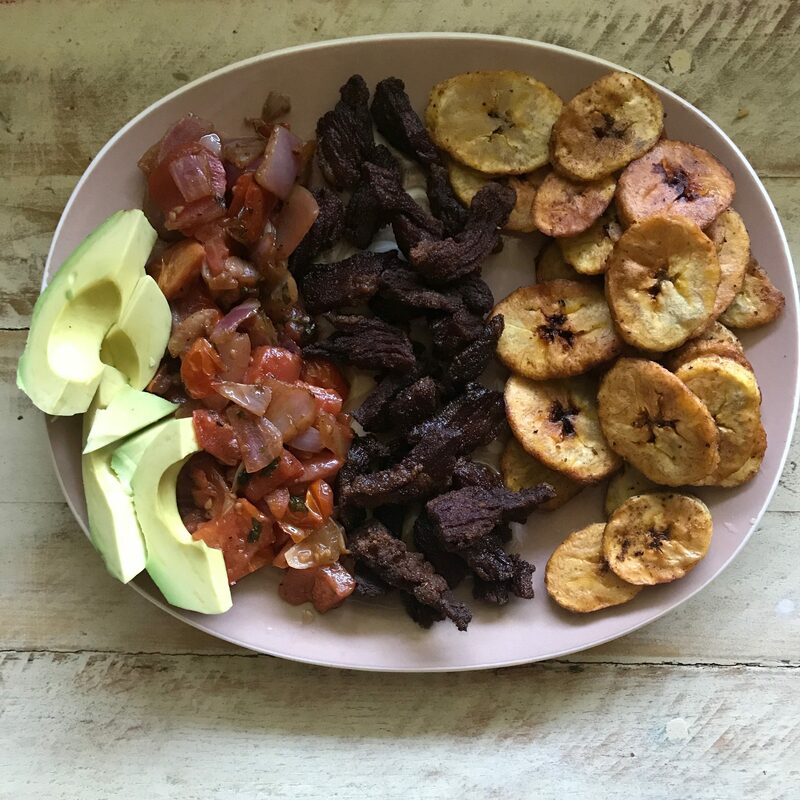 I was given the opportunity to try a different meal subscription service and I was so impressed. 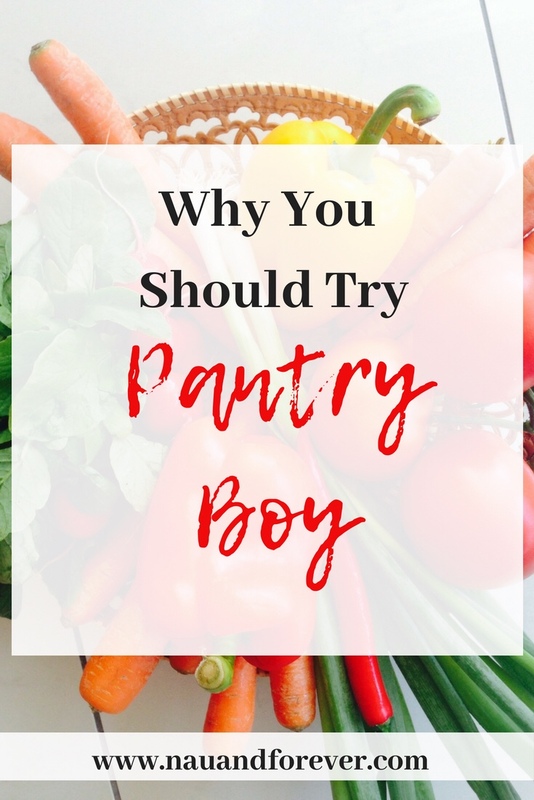 Check out why you need to try Pantry Boy too! Meals are delivered to your door boxed with ice packs to protect all ingredients. Simply remove the items, wash, prep, and start cooking. provide you with the convenience of shopping and choosing what to cook. create fresh and nutritious recipes for good health. wash, chop and prepare everything for you. supply you with properly proportioned ingredients with “0” waste. seek and find the quality ingredients according to our menus. bring a new recipe meal to your dining table every time you open your Pantry Boy box. What Makes Pantry Boy Different? Pantry Boy isn’t your typical meal delivery service. When your meals are delivered you have the option of slow cooking a meal in the Crock Pot or fast cooking with your stove. Having both options is great for busy families because you never know how and when your schedule changes. I chose the omnivore menu so we could have a mix of meat and a vegetarian meal. We received spicy greek potato salad, chicken gyros, and lomo saltado. Everything was so delicious and easy to make. 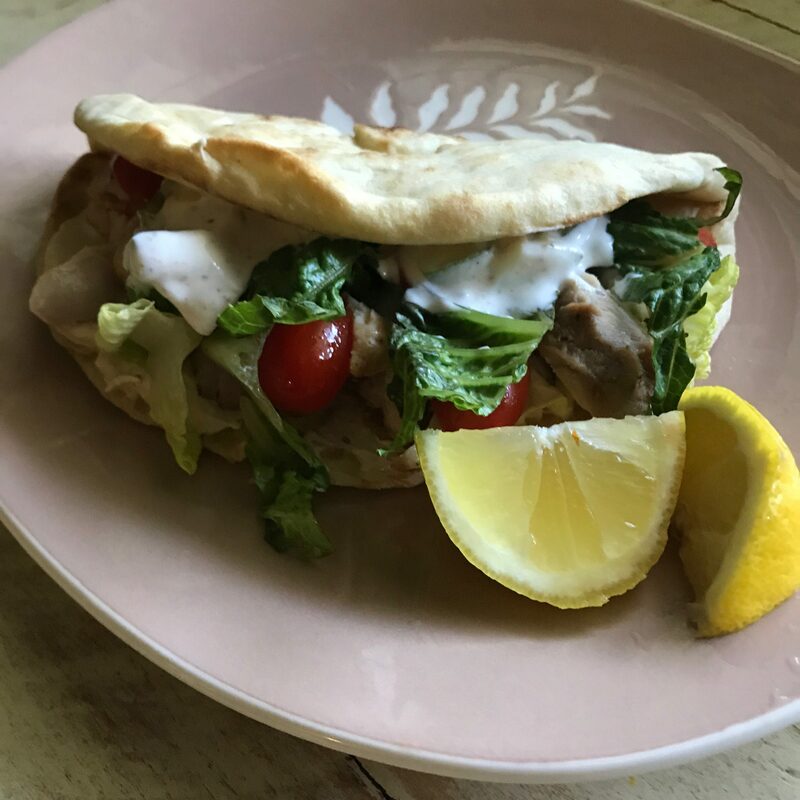 The chicken gyros had the option of slow cooking, but I chose fast cooking for all three meals. Will I Try It Again? I will definitely be putting Pantry Boy into our meal rotations. I loved the meals that we had delivered. The ingredients were fresh and delicious and as they said, there was “0” waste. What I love is that the meals are preservative free. The meats are antibiotic free with no added hormones and all ingredients are organic when possible. You Need to Try Pantry Boy! If you love meal delivery services, you need to try this. If healthy is important to you, Pantry Boy is a perfect fit for your family. Click the below link to take $60 off your first order! Delicious & Delivered Ready To Cook. Take $60 Off! Laura received this service for free in exchange for an honest review. All thoughts and opinions are her own.